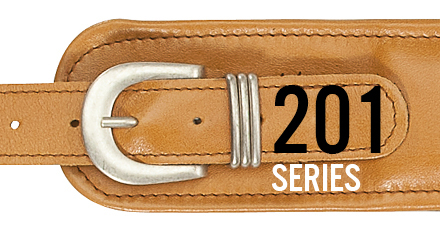 The positive energy of a spiral embroidery, on a soft and comfortable leather, is what distinguishes thisstrap. 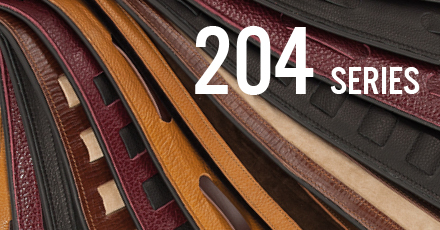 Weavings, carvings, choice of colors and designs: everything makes the 204 a special strap. 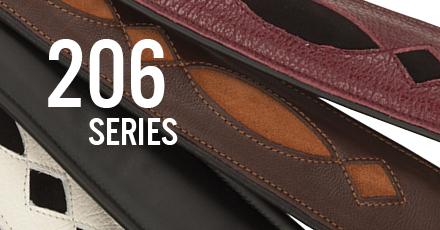 The pecularity of the leather with which is made the 205 series, the lining in suede and soft padding make this strap comfortable. 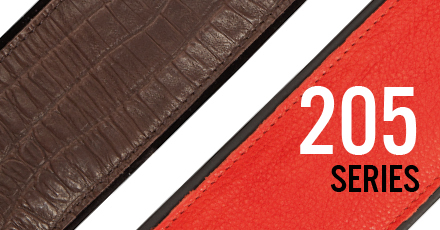 The carving and the overlapping of hide and leather, express the class of this strap.